After several days of travel, I’ve settled into the front row of the BAA/AAVSO meeting in New Hall, in Cambridge, UK. Dr. Paula Skody is giving an excellent talk on pro-am collaboration to make Hubble Space Telescope observations of cataclysmic variables. She studies pulsating white dwarfs – stars whose outer 99% have oscillations that can be seen as high speed, slight changes in brightness. The most interesting of these pulsating stars are in binary systems and are gravitationally stripping mass from their companions. This process changes the mass, temeperature, and composition of the white dwarf, and it is possible to observe how the star’s pulsations change as their mass, temp, and composition change. WhiteDwarf.org has movies of these stars. There about 12 of these stars known and 7 of them have been found in the Sloan Digital Sky Survey. Part of understanding these systems requires ultra-violet spectra – Images that send the star’s UV-light through an optical systemÂ¬â€ that spreads it out such then individual atomic lines can be observed. This light doesn’t make it through Earth’s atmosphere, so the Hubble Space Telescope is used.Â¬â€ Ground based data are required to support these observations. 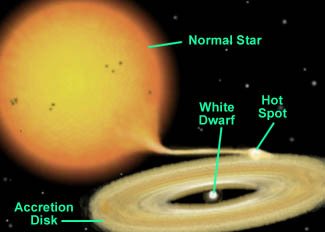 A white dwarf binary can periodically flare up in brightness (called a nova or a CV outburst) when materials build up between the stars and undergo run away thermal nuclear reactions. During these outburst, stars can become bright enough to destroy HST’s UV detectors. To make sure this never happens, amateur astronomers (perhaps some of you!) monitor the stars with backyard telescopes. HST has to have ground-based observations within 24 hours of the space-based observation to confirm the star is not outbursting. Without these observations, they cancel the HST time. So far, no cancellation has occurred thanks to the hard work of amateurs. Using these hard one observations (both ground and space), they are working to understand the masses of the white dwarfs that pulsate as a function of their temperature – This means they’ll look at pulsating stars of a couple different temperatures and see how things vary. One of the first (and sadest) things for them to discover was accretions pulsations do not pulsate forever – and apparently they’re shy of HST. Three of the 9 stars they looked at opted to stop pulsating just as they got HST time.Â¬â€ In the other 6 stars, periods were seen to change in some cases, partially go away in other cases, and stay exactly the same for 1 star. White dwarfs are quickly cooling and quickly evolving as they cool, consume matter from their companion star, and reheat during outbursts. These changes cause periods to come and go on not just human time scales, but on decadal time scales. Understanding how things change as a function of specific observables should be possible, but we need more stars and we need more time, but because of the short evolution time, someone like Paula can hope to see the answer come over her research lifetime as the stars she works on evolve. 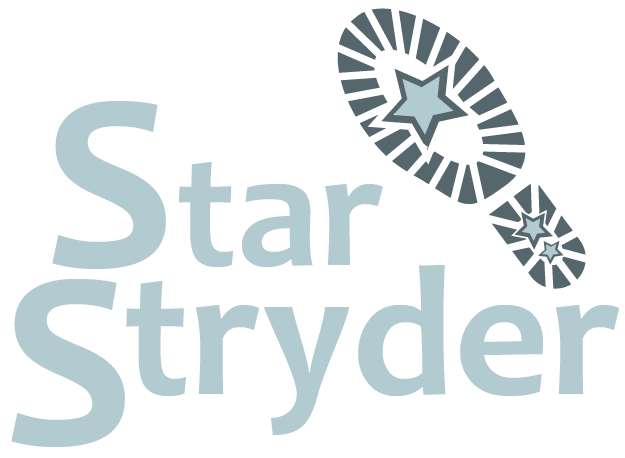 This means one person can watch one star fundamentally change in one life time. How cool is that! Your answer shows real inlieteglnce.